Finley’s point here is that we need to conceptualize the ancient economy in terms that are not drawn from current understandings of capitalist market economies; these economic concepts do not adequately capture the socioeconomic realities of the ancient world. Finley argues that the concepts and categories of modern market society fit the socioeconomic realities of the ancient world very poorly. (In this his approach resembles that of Karl Polanyi, who was indeed an important influence on Finley.) One thing that is interesting in this approach is that it is neither neo-classical nor Marxist. Finley addresses a question that is particularly important in the human sciences, the problem of how to handle heterogeneity within a social whole. 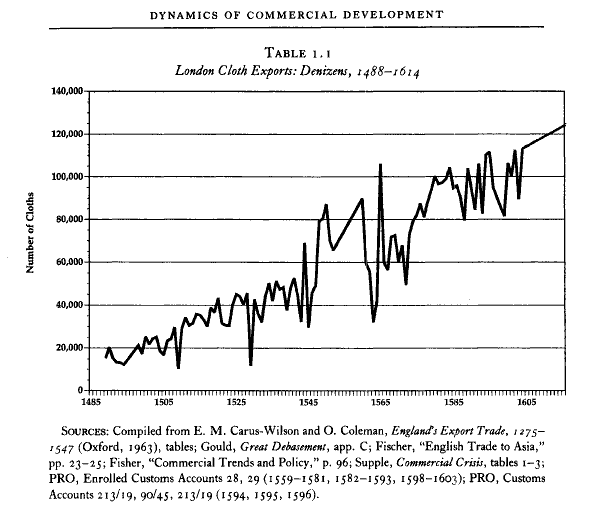 There are only a few “structural” factors in Finley’s account of the ancient economy. The structure and social reality of property is one — the ownership of land and labor in the form of estates, small farms, and slaves conditions much of productive activity. Another is the availability of roads and water transport. Production largely took place within one day’s transport from the consumers of that production. “Towns could not safely outgrow the food production of their own immediate hinterlands unless they had direct access to waterways” (126). Finley summarizes the “balance of payments” through which towns and cities supported themselves under four categories: local agricultural production, the availability of special resources like silver; the availability of trade and tourism; and income from land ownership and empire (139). It is interesting to compare Finley’s intellectual style in The Ancient Economy with his writing in an earlier book, Aspects of Antiquity: Discoveries and Controversies, published in 1968. Here Finley takes up many topics in a broadly chronological order. And he is more declaratory in his analysis of the broad dynamics of social development. One chapter in particular is an interesting counterpoint to The Ancient Economy, “Manpower and the Fall of Rome”. 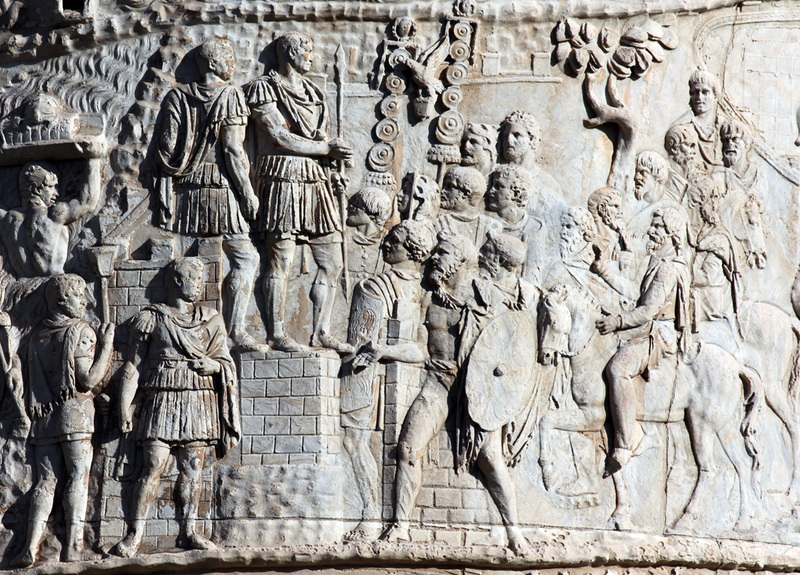 The time is the late fourth century, and the circumstances are the impending military collapse of Rome. Finley estimates the population of the empire at about 60 million, noting that it is impossible to provide anything like a precise estimate. This population supported an army of about 300,000 in the time of Marcus Aurelius (d. 180), and rising to perhaps 600,000 in in the coming century. But increasingly this army was incapable of protecting the Empire from the encroaching Germanic tribes. Finley offers what is essentially a demographic and technological explanation for Rome’s failure to defend itself: it simply could not sustain the substantially greater manpower needs that the Germanic warfare required, given the nature of the agrarian economy. This is perhaps a sober reminder of the limits of imperial power for the contemporary world. Karl Marx was very interested in capital — an abstract concept referring to society’s wealth. And he was interested in the persons who owned and controlled capital — the capitalists. But the primary focus of his lifelong analysis was upon one particular species of capital, what he referred to as “industrial capital.” This is the form of wealth involved in the production process — factories, mines, railroads. He had less to say about the aspect of capital that designated the exchange process — what he referred to as “merchant capital” and finance capital. This selective focus reflected one of Marx’s main historical opinions — the idea that history moves forward through the development of the “productive forces,” and that industrial capitalists (as well as the industrial proletariat) are the agents of this kind of economic change. 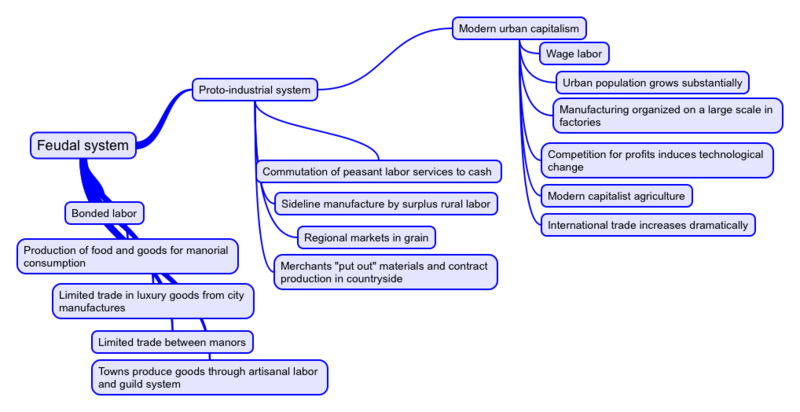 Here is a brief description from Capital of the role of merchant’s capital in his analysis. According to the labor theory of value, only the expenditure of living labor into the production process of a commodity can create new value; so only industrial capital includes a process that creates new wealth. Merchant capital plays no role in the production process, and it is therefore historically unimportant — or so is Marx’s view in Capital. If we now look back on European history from the sixteenth century to the twentieth century, this assessment seems badly wrong as an historical observation. Merchants and their companies played key roles in the establishment of a world trading system; they actively facilitated the race for colonies by the European powers; and often they played a quasi-military role in suppressing resistance by locals in distant parts of the world. So “merchant capital” and companies established for the purpose of international trade seem to have played a key role in the creation of the modern world system. Robert Brenner undertook to provide a detailed historical account of the role of merchants and their organizations in the sixteenth and seventeenth centuries in Merchants and Revolution: Commercial Change, Political Conflict, and London’s Overseas Traders, 1550-1653 (1993). This is a departure from Brenner’s important contributions to the agrarian changes associated with England’s agricultural revolution in the sixteenth century (link), and it is also a much more detailed historical study than his previous works. Brenner is interested primarily in two topics: first, how did commerce evolve in the sixteenth century in England, both nationally and internationally; what were the institutions, organizations, and individuals that emerged as vehicles for pursuing individual and corporate interests by large merchants? And second, how did the emergence of large merchant fortunes and companies interact with the politics of the English state during this early modern period? So aggregation of voluminous historical economic data represents one important portion of Brenner’s historical research here. The other important part, however, is at the other end of the scale — detailed information about many of the individuals who played leadership roles in the commercial and political developments of the period. Fundamentally the book is about the political power of the merchant class. Brenner makes the point that English commercial interests were deeply dependent upon English political and military strength in the competition for import and export markets. This meant, in turn, that great merchants had great political interests, both in terms of military policies of the Crown and in terms of the privileges and monopolies upon which their profits depended. And much of Brenner’s narrative is a careful parsing-out of the deliberate and purposive political alignments sought out by the great merchants and their companies. Political alignments were especially important during the century of conflict leading to civil war and revolution. If we wanted a single phrase to summarize Brenner’s task in this work, it is the idea that much of England’s politics in the early modern period were influenced or determined by the demands of the commercial sector. The great merchants wielded great political power. And so we need to have a fine-grained understanding of these companies and their networks if we are to understand the coalitions and policies of the period. Contrary to the view put forward by Marx above, merchant capital and its associated actors and organizations were indeed a potent historical factor in modern history. A recent book by Stephen Bown, Merchant Kings: When Companies Ruled the World, 1600–1900 , picks up the story of merchant capital from a different angle and with a very different level of resolution. 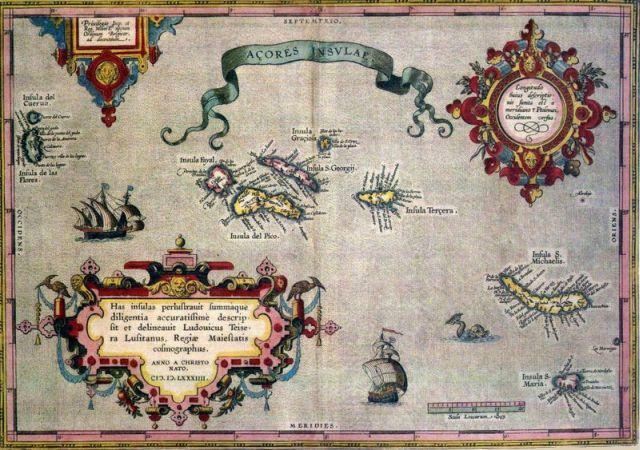 Bown is particularly interested in demonstrating the active (and often violent) role that large merchant companies played in the development of the world trading system and the colonial relationships that emerged from the seventeenth century forward. Bown’s central focus is on the individuals and the companies that created the colonial world: Jan Pieterszoon Coen and the Dutch East India Company, Pieter Stuyvesant and the Dutch West India Company, Sir Robert Clive and the English East India Company, Aleksandr Baranov and the Russian American Company, Sir George Simpson and the Hudson’s Bay Company, and Cecil John Rhodes and the British South Africa Company. Bown draws out a story of global competition between nations and trading companies that illustrates the brutality and self-interestedness of colonialism throughout the three-century period he traces. And the chief victims of this violence are non-European peoples from Indonesia to Alaska to South Africa. What the book doesn’t provide is what is so evident in Brenner’s book — a detailed understanding of the political and organizational relationships that underlay these military and commercial adventures. Both books have something to add to our own efforts to understand big business in the twenty-first century. On the evidence offered here, business organizations — corporations and companies — have their own interests and agendas, and states have a great deal of difficulty in constraining them to the public good. This is obvious in the failures of large financial institutions to safeguard the interests of the public in 2008 — the harmful conduct of finance capital, but it was equally evident in the behavior of the Dutch East India Company or Brenner’s opening example, the Company of Merchant Adventurers. The hidden hand does not assure us that markets, commerce, and private interest will bring about the common good. How can sociology treat “culture” as an object of study and as an influence on other sociological processes? This is, of course, two separate questions. First, internally, is it possible to treat philosophy or literature as an embedded sociological process (a point raised by Jean-Louis Fabiani in his treatment of French philosophy (link))? Can we use the apparatus to pull apart the sociology of the fashion industry? And second, externally, can we give a rigorous and meaningful interpretation of “bringing culture back in” — conceptualizing the ways that thought, experience, and the institutions and mental realities of culture impact other large social processes — e.g. the rise of fascism (link)? The problem here is to find ways of getting inside “culture” and decomposing it as a set of social, material, and semiotic practices. We need an account of some of the culture mechanisms through which voices develop, acquire validation, and are retransmitted. And we need concrete accounts of how this culture activity influences other socially important processes. Culture cannot be thought of as a monolith if we are to explain its development and trace out its historical influences; rather, we need something like an account of the microfoundations of culture. One of the fertile voices on this question is that of Pierre Bourdieu. His core contribution is the idea of cultural life and production being situated in a “field.” So what does Bourdieu mean by a field? Is this concept genuinely useful when we aim at providing a sociology of a literary tradition or a body of ideas like “cultural despair”? The heart of Bourdieu’s approach is “relationality” — the idea that cultural production and its products are situated and constituted in terms of a number of processes and social realities. Cultural products and producers are located within “a space of positions and position-takings” (30) that constitute a set of objective relations. This description highlights another characteristic feature of Bourdieu’s approach to social life — an intimate intermixture of objective and subjective factors, or of structure and agency. (This intermixture is also fundamental to Bourdieu’s theory of practice in Outline of a Theory of Practice .) Bourdieu typically wants to help us understand a sociological whole as a set of “doings” within “structures and powers.” The field of the French novel in the 1890s established a set of objective circumstances to which the novelist was forced to adapt; but it also created opportunities for strategy and struggle for aspiring novelists. This is captured in the final sentence of the passage: a “field of forces” but also a “field of struggles”. 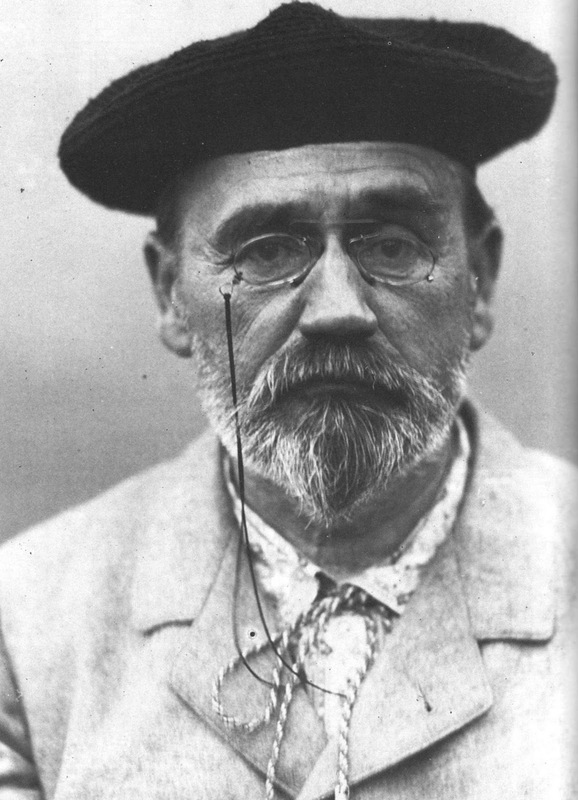 And in fact, Emile Zola, pictured above, did much to redefine aspects of that field, both in ideas and in material institutions. Fundamental to Bourdieu’s view is that we can’t understand the work of art or literature (or philosophy or science, by implication) purely in reference to itself. Rather, it is necessary to situate the work in terms of other points of reference in meaning and practice. So he writes that we can’t understand the history of philosophy as a grand summit conference among the great philosophers (32); instead, it is necessary to situate Descartes within his specific intellectual and practical context, and likewise Leibniz. And the meaning of the work changes as its points of reference shift. “It follows from this, for example, that a position-taking changes, even when the position remains identical, whenever there is change in the universe of options that are simultaneously offered for producers and consumers to choose from. 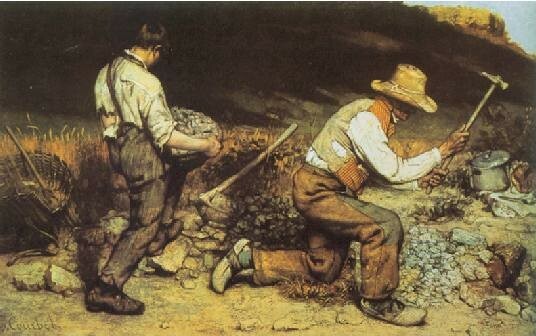 The meaning of a work (artistic, literary, philosophical, etc.) changes automatically with each change in the field within which it is situated for the spectator or reader” (30). This background information is not merely semiotic; it is institutional and material as well. It includes “information about institutions — e.g. academies, journals, magazines, galleries, publishers, etc. — and about persons, their relationships, liaisons and quarrels, information about the ideas and problems which are ‘in the air’ and circulate orally in gossip and rumour” (32). So the literary product is created by the author; but also by the field of knowledge and institutions into which it is offered. Another duality that Bourdieu rejects is that of internal versus external readings of a work of literature or art. We can approach the work of art from both perspectives — the qualities of the work, and the social embeddedness that its production and reception reveal. A key aspect of Bourdieu’s conception of a field of cultural production is the material facts of power and capital. Capital here refers to the variety of resources, tangible and intangible, through which a writer or artist can further his/her artistic aspirations and achieve “success” in the field (“book sales, number of theatrical performances, etc. or honours, appointments, etc.” (38)). And power in the cultural field is “heteronomous” — it is both internal to the institutions of the culture field and external, through the influence of the surrounding field of power within which the culture field is located. 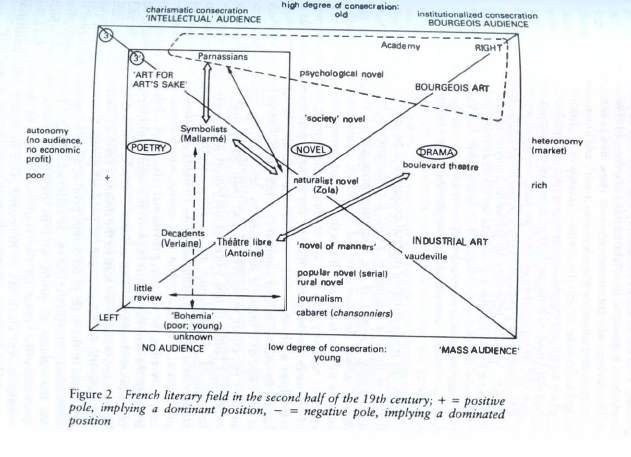 Here is an intriguing diagram that Bourdieu introduces to represent the complex location of art activity within the broader field of social power and the market. These comments give us a better idea of what a “field” encompasses. It is a zone of social activity in which there are “creators” who are intent on creating a certain kind of cultural product. The product is defined, in part, by the expectations and values of the audience — not simply the creator. The audience is multiple, from specialist connoisseurs to the mass public. And the product is supported and filtered by a range of overlapping social institutions — galleries, academies, journals, reviews, newspapers, universities, patrons, sources of funding, and the market for works of “culture.” It is also important to observe that we could have begun this inventory of components at any point; the creator does not define the field any more than the critic, the audience, or the marketplace. I see some similarities between Bourdieu’s conception of a field and the broad ideas of paradigm and research tradition in the history and sociology of science. Both ideas encompass a range of different kinds of things — laboratories, journals, audiences, critics, and writers and scientists. Here Lakatos and Kuhn are relevant, but so are Bruno Latour and Wiebe Bijker. In each case there is some notion of rules of assessment — explicit or tacit. And in each case we are given breadth enough to consider the social “determinants” of the cultural product at one end — economy, institutions of training and criticism — and some notion of the relative autonomy of the text or object at the other (truth and warrant, beauty and impact). A farm is the basic unit of agricultural production. It represents the coordinated application of diverse factors of production in order to produce crops. The factors of production include labor; land; tools, implements, and machinery; fertilizers; and water resources and irrigation techniques. Crops include both foods (e.g., rice, wheat, millet) and raw materials (e.g., cotton, soya beans). And farms may be organized for a variety of purposes: to satisfy a family’s subsistence needs, to create a profit within a market system, or to provide employment for the greatest number of rural people. Farms in different agrarian regimes may be characterized in terms of a set of technical and social features. On the technical side we need to know what the scale of cultivation is (farm size); what techniques of cultivation are employed; what varieties of crops and seeds are available; what types of farm tools and machines are used; what types of irrigation, if any, are in use; what varieties and skills of labor are employed; what types of fertilizers are used; and what forms of agronomic knowledge are available to the farmer. (We might reduce this variety of technical features to a spectrum ranging from low-technology to high-technology farming systems.) On the social side we need to know the purpose of cultivation (family subsistence or commercial profitability); the form of land tenure in place (fixed rent, sharecropping, smallholding, etc. ); the forms of labor employed (slave, serf, family labor, hired labor); the forms of supervision employed; and the processes of income distribution embodied in the agricultural system. These features are the primary subject of research for agricultural historians such as Allen and Li. 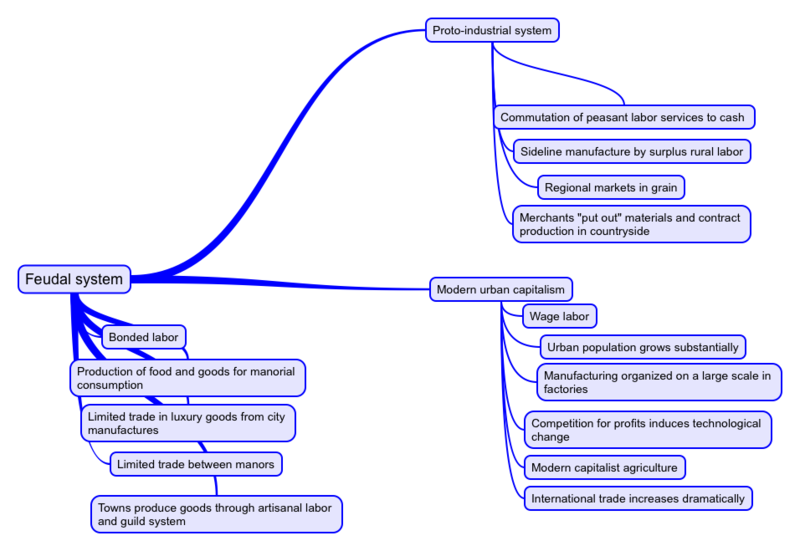 These features essentially determine the most important economic characteristics of the agricultural system. First, they determine the productivity of the farming system, whether measured in terms of land efficiency (output per hectare) or labor efficiency (output per man-day). For once we know the techniques of cultivation in a given ecological setting, it is possible to form relatively accurate estimates of output for a given input of land, labor, and capital. This set of considerations also determines what we might describe as the net rural product–the total agricultural product over and above the replacement cost of the factors of production. On this basis, Chinese historians such as Dwight Perkins attempt to estimate the overall wealth and income of late Imperial China, including estimates of quality of life for the majority of rural people (Agricultural development in China, 1368-1968 ). Second, the full description of the farming system as indicated above will allow us to infer the system of surplus extraction in place; it will be possible to indicate with adequate precision how much surplus is generated and where it goes. Victor Lippit attempts to arrive at such an estimate for traditional China (Land Reform and Economic Development in China: A Study of Institutional Change and Development Finance ). This in turn permits us to describe the system of rural class relations that correspond to a given farming regime. Within this framework we can now indicate a variety of types of farms; and as a working premise, we may postulate that agrarian regimes in which different farm types are dominant will have distinctive patterns of organization and development. The following are advanced as ideal types; variants and mixed examples are possible as well. However, these types are selected as being particularly central in the development of both Asian and European traditional economies. And, significantly for the historian of social change, each farming system creates a distinctive pattern of incentives, barriers, social relations, and modes of behavior that have important consequences for historical change. The peasant farm. The peasant farm is small (1-10 hectares), and is organized to satisfy consumption needs of the family. It is managed and run by a peasant family using family labor. Cultivation is divided between subsistence crops and commercial crops with some risk-aversive preference for subsistence crops. There is a very low level of capital available to the peasant farmer, and cultivation is oriented towards labor-intensive techniques. Low-cost traditional techniques and tools are employed in cultivation. The peasant cultivator typically pays rent on the land he cultivates, though smallholding with clear title to the land is also possible. The manor. This farm is of medium size (100 hectares). It is managed by a resident lord whose aims are (1) to satisfy the consumption needs of his household, and (2) to produce a marketable surplus to generate cash income. The manor employs a sizable number of bonded laborers (serfs or slaves); it uses traditional techniques of cultivation but benefits from some economies of scale; and it employs foremen as supervisors. Part of the estate is farmed by individual families in circumstances of peasant farming. The capitalist farm. This farm is medium to large (50-150 hectares) and is organized to produce a profit. It is therefore located within a commercialized rural economy within which crops may be readily marketed. The farm is organized and directed by the capitalist farmer, who may either own or rent the land. The capitalist farmer has the fiscal resources needed to make capital investments in the process of cultivation; and he is oriented towards cost-cutting in considering various alternative techniques. The capitalist farm employs wage labor, where the wage is determined by local economic circumstances and the minimal cost of subsistence. The capitalist farm represents a rationalization of available techniques aimed at maximizing the profitability of the unit. The cooperative farm. The cooperative farm is a large unit (100-400 hectares) owned by the cultivators (75 families). This farm is oriented towards profitability; it uses the labor of the cultivators; and it is organized by a council of the cultivators. The collective has access to investment funds, and is therefore able to invest in new techniques; moreover, the collective farm benefits from economies of scale. Significantly, this typology of farming units corresponds broadly to the classical Marxist taxonomy of modes of production: feudalism, capitalism, and socialism. 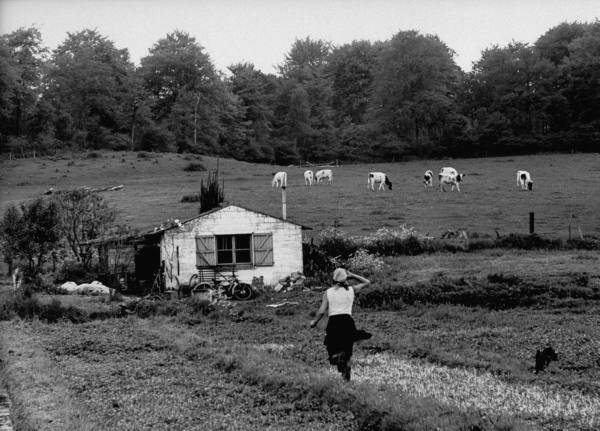 The peasant farm, however, represents a form of organization of the productive forces of rural society that is overlooked in Marxist theory: call it the “peasant mode of production.” The peasant mode of production may be defined as a system in which agriculture is performed on peasant farms; the bulk of the population consists of free peasant cultivators; and agricultural surpluses are extracted through rent, interest, and taxation. In short, careful analysis of the circumstances of farming is crucial for large-scale history, including especially the history of economic development, the history of urbanization, and the history of human well-being. And, of course, the twentieth century demonstrated the centrality of peasants in the great political movements of revolution and anti-colonialism. Marx’s theories are deeply historical, in that he wants to explain the dynamics of change of large historical formations such as capitalism or feudalism, and he insists on putting social events into historical context. And, of course, Marx is most celebrated for developing a general approach to historical explanation, the theory of historical materialism. But how does Marx do when he treats concrete historical events? How is Marx as an historian? There are surprisingly few extended examples of detailed historical analysis in Marx’s writings. There is Marx’s account of “primitive accumulation” in English agrarian history in the 17th and 18th centuries in Capital. There are occasional references to the Roman Empire and classical slavery throughout his work. And there are his important writings about the French urban uprisings during 1848 and its aftermath (The Eighteenth Brumaire and The Civil War in France). These essays include quite a bit of historical detail — personalities, events, parties, speeches. But they are closer to political journalism than to careful historical analysis. They are based primarily upon Marx’s personal contemporary observations — not on the usual historian’s studies in archives and secondary sources. They come closer to personal recollections and observations than to a typical historical research product. If there is a unifying theme of interpretation in these articles, it is the idea that the parties and factions pursue programs that are based on class interests. The party of order defends property and privilege, and the party of progress expresses and defends the interests of the underclasses — urban workers and artisans. Theorists such as Nicos Poulantzas have used these texts as a basis for propounding theories of political consciousness and action and the “relative autonomy” of politics. The essays illustrate Marxist theories of politics. But considered solely from the point of view of historiography and historical knowledge, the articles aren’t particularly distinguished. Let’s make an unfair but informative contrast: a comparison between Marx’s writings and those of some of the great twentieth-century historians whom his ideas inspired. I’m thinking of scholars like Albert Soboul, Eric Hobsbawm, E. P. Thompson, Maurice Dobb, or Gene Genovese. Each of these scholars borrowed deeply from Marx’s social theories — class, power, consciousness, resistance, economic structure, property systems, labor. But each of these historians does something else as well: he digs deeply into the gnarly, special, and resistant reality of historical events and groups — peasant movements, churches and manifestoes, parties and conspiracies, slave quarters. These historians try to discover the particular and peculiar graininess of history; they allow theory to rest lightly on their narratives. So what does Marx have to teach us about the craft of historical writing and reasoning? I’m inclined to say that Marx uses history but doesn’t really write history. His writings are historically oriented, but they are almost never works of primary historical discovery and explanation. Marx is a theorist of historical processes; but he is not really a working historian, and his writings don’t really offer much by way of innovative historical reasoning. It remained for Marxist historians of the twentieth century to bring together Marx’s theoretical insights with rigorous methods of historical research and discovery. 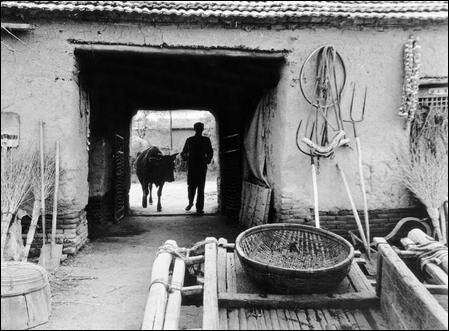 Quite a bit of China’s history has been framed in terms of the role of the “peasant” in Chinese society. Historians consider the features of the peasant economy; they examine the occurrence and dynamics of peasant rebellions and peasant mobilization; they ask about peasant culture and consciousness. What is a peasant? Is it a sociologically useful concept? So peasants are farmers. But even within a society that is largely rural with a high percentage of smallholding farmers, there is still substantial social diversity within local society. Small traders, necromancers, martial arts instructors, bandits, minor officials, priests, moneylenders, elites, scholars, and large land owners all play roles within a peasant society — but they are not peasants. Their incomes derive ultimately from the farm economy, but their lifestyles, standards of living, values, and social status are all distinct from those of peasant farmers. So there is occupational diversity within rural society in almost every part of China, and a “peasant society” consists of many people who are not themselves “peasants”. 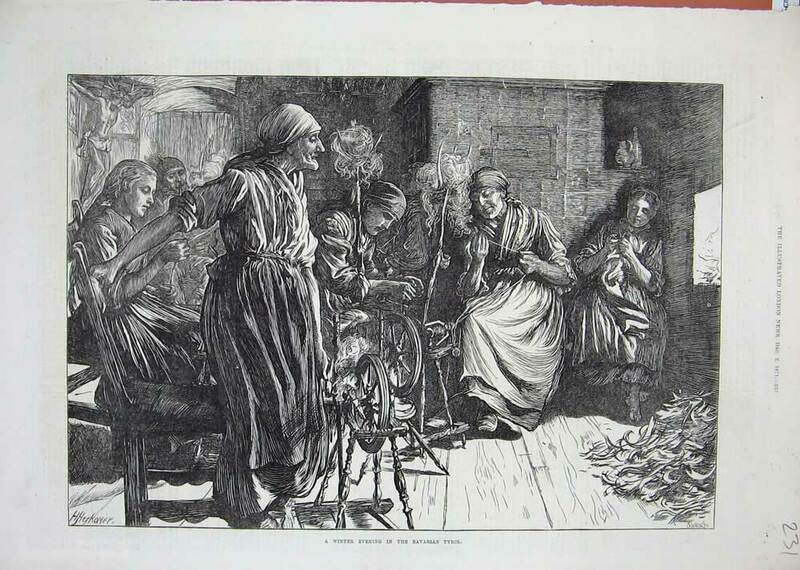 The definition of the peasant just offered focuses on the occupational or material situation of the individual. It is not surprising, then, that materialist social theory has given particular emphasis to the category of “peasant society” as a potentially explanatory social category. Marxist analysis gives substantial importance to the situation of peasants and workers, and other non-Marxist materialist thinkers have done so as well. But we can reasonably ask whether this set of “existential” facts have very much to do with a person’s mentality and political behavior. Recall the very great range of social environments in which farming takes place in China — from the rice paddies and deltas of the lower Yangzi, to the wheat farms of Hebei and Shandong in the north, to the mountainous plots of Yunnan in the southwest. Recall as well the cultural diversity that occurs across this range — different ethnic groups, different local traditions, different religious and lineage practices. So it is worth asking the question, to what extent do members of village society share a peasant consciousness, simply in virtue of their social position as farmers? Is there any reason to believe that the material factors that define one’s status as “peasant” are more fundamental to consciousness than the cultural or ethnic factors having to do with one’s immediate social milieu? Does the peasantry constitute a distinct social group? There are some shared features of peasant experience that would provide a partial answer to this question. First is the common experience of insecurity. Farmers are more vulnerable than most economic groups to the vagaries of weather, water, and soil. Second is the fact of surplus extraction. Because they are the most numerous group in most traditional societies, the state and other powerful agents in society have an interest in extracting part of the peasant’s surplus from him/her. This occurs through rent, interest, and taxation. And it is a commonplace that the peasant’s life is often held hostage to predatory surplus extraction. Peasants are close to be bottom of the ladder when it comes to power, status, and influence — so they are vulnerable to exploitation. These considerations suggest that there is in fact an important basis of group mobilization that is associated with one’s status as “peasant”. Farmers share an interest in famine relief, drought assistance, and collective action against predatory taxation or rent increases; so their status as peasants may contribute to deliberate efforts aimed at the development of class consciousness and group identity formation. Peasant organizations may emerge that deliberately cultivate political action and consciousness around peasant issues. And this in turn suggests a more complicated answer to the primary question here: one’s status as a peasant may not determine one’s outlook on the social world or one’s mentality; but the struggles associated with making a life within the context of rents, taxation, drought, and famine may lead to the forging of a peasant consciousness that does in fact influence political behavior and solidarity. Friedrich Engels’ book, The Condition of the Working Class in England , was one of the earliest “sociological” descriptions of the emerging working class in industrial Europe. Engels is a good subject for this blog, because this book is a very interesting effort to “understand society” at a time when the changes that Britain was undergoing were perplexing and rapid. Like other nineteenth century thinkers — such as Thomas Carlyle, Alexis de Tocqueville, or Alexander Herzen — Engels was trying to find language, concepts, theories, and metaphors in terms of which to comprehend the rapid processes of urbanization and industrialization that he observed. This is a place where the “sociological imagination” is most critical — the ability of talented observers to begin to make sense of the complex social reality surrounding them, and to find language and theory adequate to expressing that reality. Published in German in 1845, Conditions represents Engels’ attempt to offer a detailed and systematic description of the emerging industrial system in England, largely based on his experience as a young man in the textile firm of Ermen and Engels in Manchester. (Steven Marcus’s book, Engels, Manchester & the Working Class , provides a good description.) The book is one of the classics of radical thought in the nineteenth century, and substantiates Engels’ stature as a thinker whose perceptions and critiques developed independently from Marx’s, in his early years anyway. My question here is, what are some of the characteristics of this book as a work of social science? To what extent does the book serve to provide one of the founding sources of modern sociology? And, of course, we need to avoid anachronism when we ask this question; the book was published only two years later than John Stuart Mill’s System of Logic (1843) — one of the earliest efforts to frame an answer to the question of “social science”, and the question of how best to understand the emerging world of industrial capitalism was a profoundly challenging one. The book has several key features. 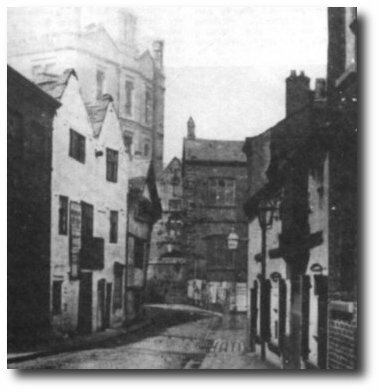 First, Engels gives a great deal of effort to the task of observing and describing the facts of urban industrial life in the 1840s in Manchester and Birmingham. He is interested in recording the conditions of life that workers experienced; the nature and cost of their daily subsistence; the conditions of health and safety that they experienced; and the nature and size of the population of the towns, neighborhoods, and cities that he describes. Engels relies upon his own observations, but he also makes extensive use of the growing body of official reports that were being produced by English governmental agencies as well as travelers’ reports, coroners’ reports, and newspapers. He refers especially to investigations by the health authorities following the cholera epidemic of 1831-32. Second, Engels does not attempt to assume the posture of a disinterested observer. He is plainly on the side of the worker and a radical critic of the bourgeois owner; he is making a case about exploitation and indifference against the emerging class of owners whose factories he describes. Third, he is interested in resistance and mobilization, and he devotes chapters to strikes and other forms of organized efforts by workers and their families to improve their conditions. This is especially true in Chapter IX (Working-Class Movements), but these topics recur in many places in the book. Fourth, quite a bit of the book might be classified as “ethnography” today: detailed, first-person description of conditions of life of a particular group of people, based on direct interaction with them by the observer. The organization of the book reveals an effort by Engels to engage in sociological classification. 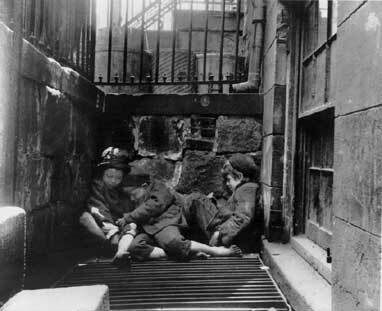 For example, he distinguishes among several groups of proletarians: industrial workers, miners, farm laborers, and the Irish workers (chapter II). Within industrial workers he further distinguishes workers by sector and division of labor. And he believes that the classification is explanatory: “the closer the wage earners are associated with industry the more advanced they are”. Finally, there is plainly an effort to provide an explanation of the phenomena Engels describes, based on an analysis of an underlying causal process: the rapid development of a capitalist system of property ownership and factory production. Engels brings almost every aspect of the degrading social circumstances that he chronicles back to exploitation and the insatiable appetite of capital for profits at the expense of workers. This is a single-factor explanation of a process that was surely multi-dimensional. But it illustrates an important aspect of sociological explanation: the need to discover some of the underlying processes that give rise to the phenomena that have been discovered. So — is it sociology or is it radical propaganda? It’s a mix of both. The sociology is of course only partially formed; the next century still had a lot of work to do in conceptualizing how a scientific perspective might be brought to the analysis of society. (And of course that work isn’t finished yet.) But Engels’ efforts here are noteworthy. And of course it is also a document of political advocacy, in line with writings of liberal and radical reformers elsewhere in Britain and Europe. It is also very interesting to me that the book is written by Engels largely prior to his substantial collaboration with Marx. And this goes some ways towards validating the idea that Engels himself was an important thinker and theorist of society. Karl Marx was a materialist thinker. But what does this amount to? What is materialism as a way of thinking about historical and social reality? Is materialism an empirical theory, a philosophical theory, or perhaps part of a social-science paradigm? To start, Marx’s words here are directed against “philosophy”, and the Young Hegelians in particular. So Marx is advocating for a different form of reasoning — not speculative philosophical reflection, but concrete analysis grounded in knowledge of the circumstances of human life. Marx is saying that we can understand certain important things — for example, the development of ideas or religion — by examining the “material” circumstances of life in which they emerge. And what are those circumstances? They are circumstances of material need and human labor: the fact that human beings satisfy their material needs on the basis of the transformation of nature through labor. So what is “material” in this setting is two characteristics: the material needs that human beings have (food, shelter, warmth) and the material-physical properties of the world in which human beings find themselves. Human beings as “producers” — intelligent transformers of nature through individual and social labor — this is the fundamental material fact in this passage. History comes into this account through Marx’s reference to the “nature of the actual means of subsistence they find in existence”, because this is the social history of technology. Human beings create new tools and techniques over time. So materialism, when applied to human beings, has an inherently historical character; men and women transform the tools and knowledge they use in order to transform nature and satisfy needs. And, as the following paragraphs make clear, the social relations through which production takes place are themselves historical products, in a regular process of change and development. Social relationships are “material” insofar as they are the forms of cooperation through which labor and production take place; central among these material social relationships are the property relations of a given level of society. Mankind thus inevitably sets itself only such tasks as it is able to solve, since closer examination will always show that the problem itself arises only when the material conditions for its solution are already present or at least in the course of formation. In broad outline, the Asiatic, ancient, feudal and modern bourgeois modes of production may be designated as epochs marking progress in the economic development of society. The bourgeois mode of production is the last antagonistic form of the social process of production – antagonistic not in the sense of individual antagonism but of an antagonism that emanates from the individuals’ social conditions of existence – but the productive forces developing within bourgeois society create also the material conditions for a solution of this antagonism. The prehistory of human society accordingly closes with this social formation. Here the emphasis is on the social relations of production, not just the forces of production (tools, materials, technical knowledge). And on this approach, study of the class relations of a given society is a “materialist” study — even though class relations are abstract and intangible. And we provide a materialist analysis of a circumstance when we show how that circumstance corresponds to or emerges from certain features of the social relations of production. So far, then, we seem to have two things going on: first, an approach to the history of ideas (“place systems of ideas into the roles they play in the social arrangements through which human populations satisfy material needs”), and an approach to the unfolding of history more generally (“attempt to understand historical developments in terms of the role they play in production and the satisfaction of needs”). So materialism is a theory about historical causation: what kinds of circumstances cause what other kinds of circumstances. And, perhaps, it is a theory about knowledge: that knowledge proceeds from analysis of material facts, not pure philosophical speculation or imagination. There seem to be several hazards built into this approach. One is the temptation of reductionism that the approach seems to invite: the impulse to reduce thought, theory, and philosophy to some compound of the “needs of the social system of production”. But is it really compelling to imagine that the Young Hegelians were simply working out some of the contradictions of the system of property and factory manufacturing? No; Marx’s rhetoric seems to be getting away from him here — in ways in which later thinkers such as Mannheim perhaps allowed the sociology of knowledge to spin out of control as well. And the hazard of reductionism also raises the worry of a blindspot when it comes to the relative autonomy of politics or culture: human beings seem to be better at imagining and extending political or cultural inventions than a crude materialism would permit. So a defensible contemporary materialism can’t be as simple as this: “Material conditions determine the content of culture, politics, and thought.” Rather, we might hold more modestly: “Material conditions constrain, influence, and stimulate the content of culture, politics, and thought.” We can understand Aristotle’s philosophy better when we understand something of its material and historical setting; but the fact remains that Aristotle was a creative and imaginative philosopher who transcended his time in a variety of ways. So, once again, what sort of theory is materialism? Perhaps we could say this: it is a “meta” – framework, a philosophical premise about how the world works. In this respect it functions as a substantive metaphysical theory. And it is a premise about how a style of thinking, a recommendation about how we should reason about the world and what factors to subject to careful analysis. Here materialism serves as something like an applied epistemology — a theory about how and what to investigate in order to arrive at valuable, justified knowledge. It falls in the general category of ideas such as idealism, monism, atomism, physicalism, or dualism: organizing ideas about the nature of reality, within the context of which more specific theorizing and investigating can take place. There are many questions that remain. Do these two aspects of materialism hang together? Could one accept the metaphysics but reject the epistemology, or vice versa? Once we have rejected the reductionism associated with vulgar materialism, how much remains of the theory? And is there a continuing role for materialist thinking in the twenty-first century world?